Refines resources in bulk. Powered by gasoline. The Industrial Forge is an advanced crafting station that is used to refine Metal into Metal Ingot and Oil and Hide into Gasoline at a much quicker speed (20x) than the regular Refining Forge. 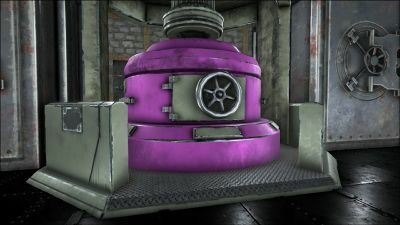 Similar to the Fabricator, the Industrial Forge requires Gasoline to run. 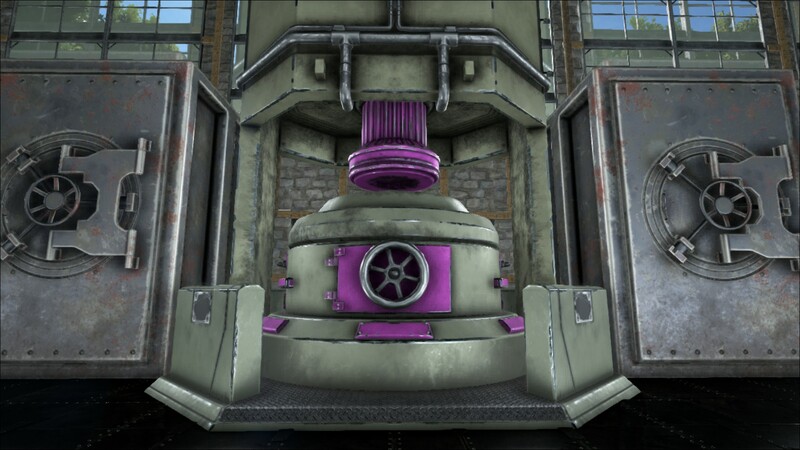 Simply place it in the Industrial Forge with materials needed to be refined and select "turn on". 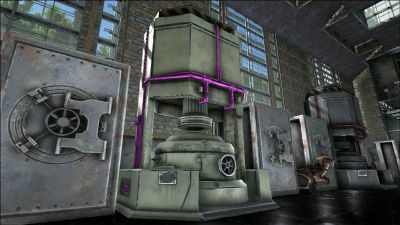 Gasoline is the only fuel source that can power the Industrial Forge. The following tables summarize the burn time and number of ingredients that can be refined. An online calculator for automating the calculations is available at tristan.games (just click the industrial tab). 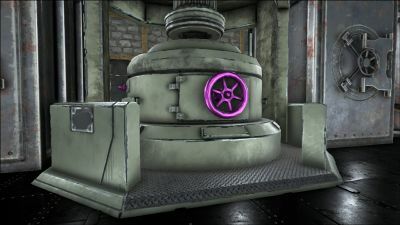 Each resource which can be produced with the industrial forge takes a different amount of time to be refined and is also refined in bulk amounts if enough resources are available. The table below lists each resource as well as the maximum amount able to created each time. 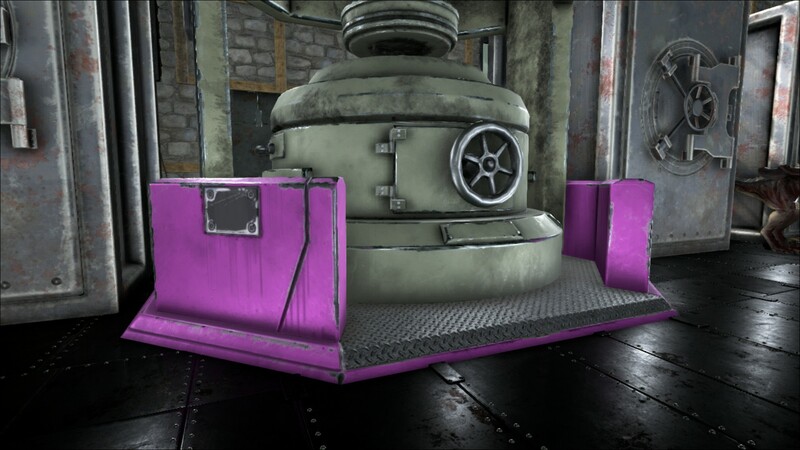 Note that when refining gasoline you must allow 1 slot to turn on the forge before completely loading it. The 2nd gasoline consumed (mentioned above) will be taken from the gasoline already refined so you will receive net total of 3499 gasoline. Be careful to not waste gasoline by turning off the Forge after the refining is completed (at 17.5 minutes) but before a 3rd Gasoline is consumed (30 minute mark). The Industrial Forge is huge. It can be placed on a single foundation, but will require a 3x3x6 enclosed structure to hide it completely. Keep an eye on the forge when refining oil because when unattended, the produced gasoline can itself be burned as fuel. 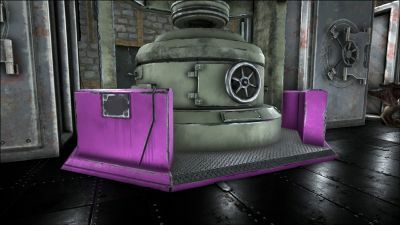 Cannot be placed on platform saddles. 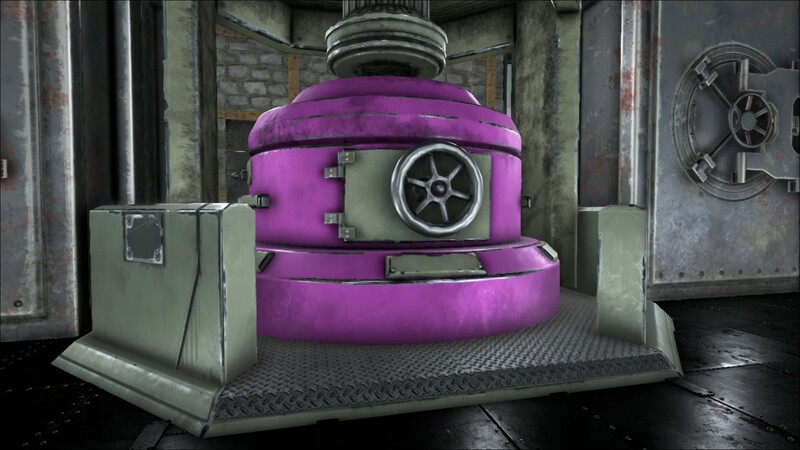 The Industrial Forge will not function if it is in any way submerged in water. It is possible to make the industrial forge using only Organic Polymer instead of regular Polymer, but you have to stack the ingredients very well. Besides metal and gasoline, it can also be used to burn wood at an extremely fast rate to mass-produce charcoal for making a large amount of Gunpowder. 7 full cans of Gasoline would actually be capable of converting 12,600 Metal Ore into 6,300 Metal Ingots in 01h 45m 00s. 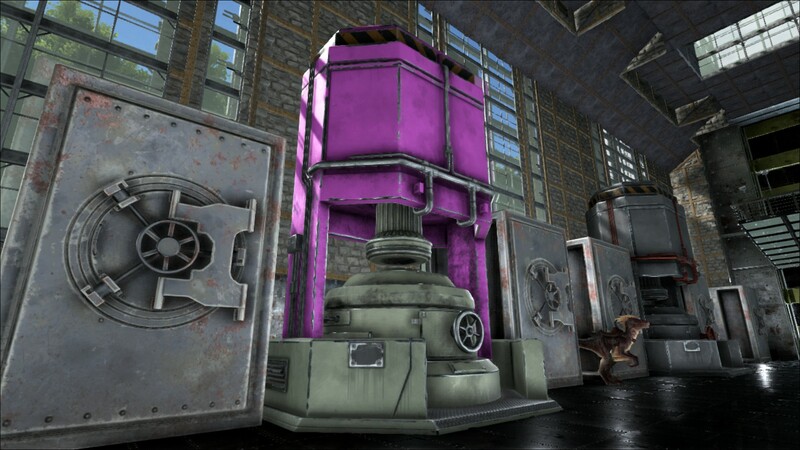 Requiring you to keep and eye on things to add 800 more Ore (4 stacks) when slots become available. 7 full cans of Gasoline would be able to convert 6,300 wood into 6,300 Charcoal in 01h 45m 00s. 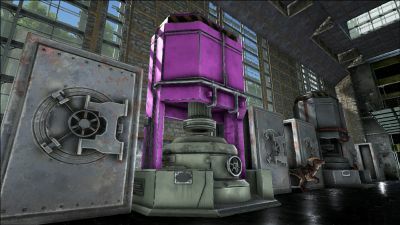 Requiring you to keep and eye on things to add 400 more Wood (4 stacks) but slots will not become available to do so. This page was last edited on 26 March 2019, at 21:34.